She holds a Bachelor of Commerce (Co-operative) degree from Memorial University, and upon completion of university in 1993, she returned to her rural hometown of St. Albans where she established and operated TMP Consulting Inc. In 1995, she began a successful career as Executive Director for the Coast of Bays Corporation (regional economic development board), acquiring an extensive knowledge of the districts challenges and its significant opportunities for growth. Ms. Perry is experienced in strategic planning, project management, organizational governance and fostering co-operation. In addition, she has worked with Consulting and Audit Canada in Ottawa, as well as the head office of the Atlantic Canada Opportunities Agency in Moncton. Active in volunteer and leadership capacities from the local to the national level, she served as a Girl Guide Leader from 1993-1996, then became President of the Bay d’ Espoir Development Association (1997-1998). From 1999 to 2001, she chaired the Newfoundland Salmonid Growers Association, and was a member of the Canadian Aquaculture Industry Association’s Standing Committee on Human Resources from 2002 to 2004. She also served on the Rural Secretariat for Council #5 from 2003-2007. Ms. Perry has worked with regional committees for the Joint Mayors, Tourism, Fishery and Aquaculture, as well as numerous other groups in communities throughout Fortune Bay – Cape La Hune. Other activities include serving as Director with the Newfoundland Aquaculture Industry Association (NAIA), the NL Economic Developers Association, the Central Newfoundland Tourism Committee, the Labour Market Development Agreement Committee as well as the Communication and Fisheries Committees of the Provincial Zone Board Association. On October 9, 2007, Ms. Perry became the first woman ever elected to serve the District of Fortune Bay – Cape La Hune and was appointed Legislative Assistant to the Minister of Innovation, Trade and Rural Development. She also serves on the Public Accounts Committee and the Ministerial Committees for Fisheries, as well as for Youth Retention and Attraction. Ms. Perry was re-elected as the Member for Fortune Bay – Cape La Hune on October 11, 2011. On May 1, 2014, Ms. Perry was appointed Parliamentary Secretary to the Minister of Innovation, Business and Rural Development. On October 10, 2014, Ms. Perry was appointed by Premier Paul Davis to serve as the Parliamentary Assistant to the Premier. In the general election on November 30, 2015, Ms. Perry was re-elected to represent the people of Fortune Bay – Cape La Hune in the House of Assembly. 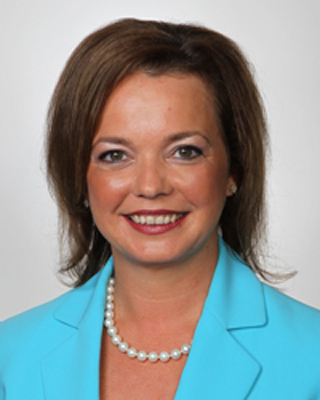 On December 18, 2015, she was sworn in as a Member of the House of Assembly and also appointed by PC Opposition Leader Paul Davis to serve as the PC Opposition Caucus Whip. Ms. Perry is also the Official Opposition Critic for Tourism, Culture, Industry and Innovation, Children, Seniors and Social Development, the Status of Persons with Disabilities, the Status of Women, and Francophone Affairs.